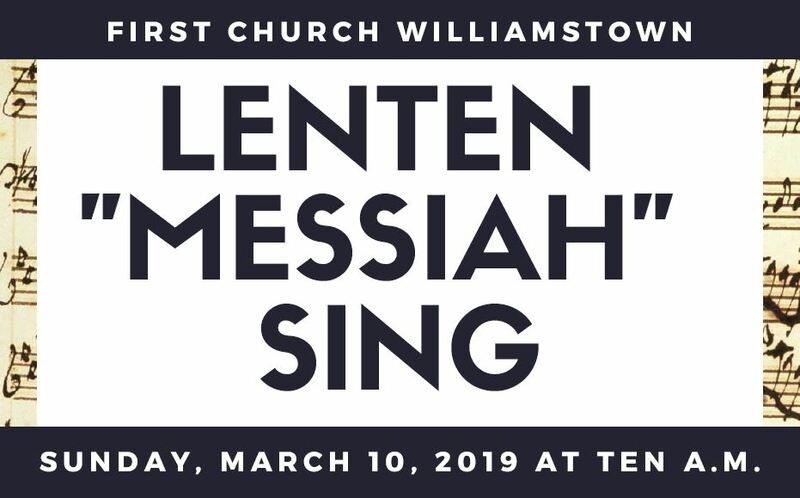 On Sunday, March 10, we will be presenting the Lenten portion (part II) of Handel’s Messiah as the framework for our worship service. We will provide orchestra and soloists, but are counting on you to comprise the chorus. To prepare for this experience, Minister of Music Ed Lawrence will offer three special rehearsals on Wednesdays, February 20, February 27, and March 6 from 7:00-8:30 p.m. The first two rehearsals will take place in Community Hall (location of the third rehearsal is to be determined; a sign will be placed on the doors of the church that evening). Please come to any and all of these evenings! We will provide scores, as well as directions to online resources to help learn the parts.